Hydrosols ~ What are they? Hydrosols, also known as “flower waters,” are produced by distilling fresh leaves, fruits, flowers, and other plant materials. With similar properties to essential oils, these aromatic waters are much less concentrated. Their aromas are often soft and subtle when compared to their essential oil counterpart. These aromatic products usually have a scent similar to their essential oil, but also can have a greener note. This comes from the water soluble constituents in the plant material that are not present in the essential oil. Offering skin care benefits and uplifting aromatherapy properties; they make wonderful single ingredient perfumes, deodorants, facial toners, air fresheners, and aromatherapy sprays. And they are great additions to your DIY projects when blended with other flower waters, essential oils or used as a replacement for water in your favorite body care, perfume, or green cleaning recipe. As you can see, diffusing essential oils makes a lot of sense for a lot of reasons! If you’re an essential oil newbie (or even if you’ve been using oils for awhile) you might feel completely overwhelmed by the different methods of diffusing essential oils. After all, there are a vast array of diffusing devices out there in the market place. 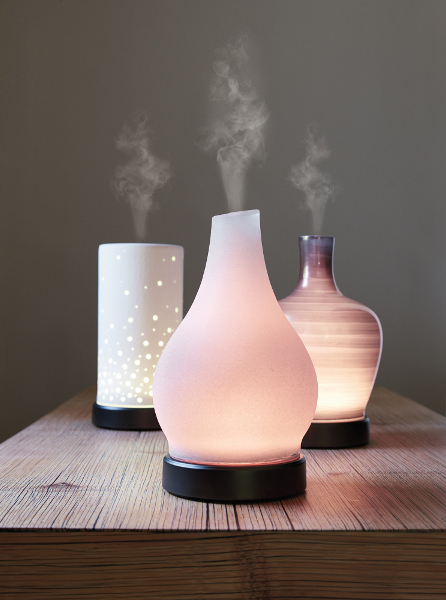 How do you know which essential oil diffusers are the best to use? Which ones are best avoided? Have no fear, this article will help you through the maze of essential oil diffusers. You’ll discover how they work, and the pros and cons of each one. Oil burners usually work by placing the essential oils of your choice into a ceramic reservoir, with or without water, and then placing it over a heat source. The heat source is usually a naked flame (like a tea light candle). 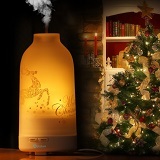 The heat acts to vaporize the essential oil and release it into the air. Oil burners are cheap, easy to find and they produce an excellent aroma. They are portable, robust and don’t easily break, and can be used pretty much anywhere that is safe (ie not a fire hazard and out of reach of children and pets). They are lovely to look at, and only a few drops of essential oil are required. Oil burners require a lit candle, which means you’ll have a naked flame in your home and that means there is a fire risk. Also, oil burners create an aroma by heating the essential oil, which changes the composition of the oil slightly and you don’t get as pure an aroma as when you inhale the oil in its natural room temperature state. The heat from the candle flame obviously heats the bowl with the water and oil which means there is a risk of being burnt – be careful not to touch the bowl or spill the contents! Oil burners are best kept out of reach of children and pets and on raised surfaces – bedside tables, coffee tables, cabinets, mantelpieces, desks and worktop surfaces etc. Also, please don’t leave them unattended… there is a naked flame and anything can happen! If you leave the room, it’s best to put the candle out. Make sure the water doesn’t completely dry up whilst the candle is still burning or you’ll burn the container. The electric essential oil burners are similar to a tea light essential burner, but instead of a lit candle, an electric element, such as a light bulb, is used to create heat, which vaporizes the oil and disperses it into the air. Some types consist of a terracotta ring that fits over an incandescent light bulb. These burners are cheap, easy to find and they produce an excellent aroma. They are portable, robust and don’t easily break, and can be used pretty much anywhere within reach of an electrical outlet, and is safe (ie not a fire hazard and out of reach of children and pets). They are lovely to look at, and only a few drops of essential oil are required. They are powered by electricity so there is a risk of electric shock – they should not be used in bathrooms or within reach of children or pets. 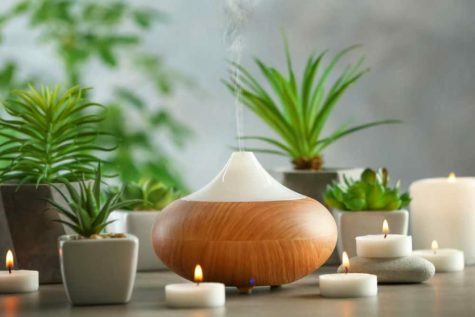 Oil burners create an aroma by heating the essential oil, which changes the composition of the oil slightly and you don’t get as pure an aroma as when you inhale the oil in its natural room temperature state. The reservoir will be hot, so be careful not to touch the bowl or spill the contents! Electric oil diffusers are a little safer to use than oil burners because there is no naked flame. Just be very careful about the wire, especially with pets around! Also, don’t use them in a bathroom – electric appliances and bath water are not a good combination! Make sure you get one that has an automatic off switch. This helps to keep the diffuser in good working order and also helps to prevent any electrical problems that may cause a fire. A reed diffuser comprises a small bottle or vase that is partially filled with an aromatic oil and several natural rattan reeds. The oil wicks up the reeds and releases the fragrance into the room where the diffuser sits, on an ongoing basis. Reed diffusers look stylish. If you make your own you can utilize high quality essential oils and enjoy the aromas. They are inexpensive to make (depending upon the essential oils used). Reed diffusing tends to be a more expensive way to diffuse essential oils because a large quantity of essential oil is required. Unlike nebulizers or ultrasonic diffusers, the aroma of the oil is not carried throughout the room, but only in a small zone around the reeds. The kit-style reed diffuser generally comes with a container of fragrance. This fragrance not usually therapeutic grade, and cannot be counted on to be free of pesticides, herbicides, or other chemicals that you may not want to diffuse into your home. By making your own reed diffuser using organic essential oils and other good quality ingredients, you can turn this style of diffusing into a much healthier and enjoyable way to diffuse essential oils. When you turn on the nebulizer − sometimes known as a cold air diffuser − an air pump sends condensed air to a nozzle tube which controls the direction of the oil. A stream of air whizzes across the nozzle tube, creating a vacuum and causing the essential oils to move upward. As they rise, the stream of pressurized air hits the essential oil droplets and causes them to atomize into micro-particles which fill a glass reservoir. Once in the glass reservoir, the micro-particles rise and are emitted out of a glass cap as a vapor which is released into the room. This type of diffuser is considered to be one of the most therapeutic because the essential oils are not diluted − the nebulizer operates without water or a carrier oil. It also does not heat the essential oils, thus the therapeutic properties of the oils are retained. The essential oil molecules released into the room are so fine they tend to remain suspended in the air for a few hours. Some feel this method energizes the oils and increases the oxygen content in the oil molecules. Another benefit is that it adds no humidity to the room, which can occur with the ultrasonic cool mist diffuser. Most models allow you to sit the bottle of essential oil directly on the atomizer so it is relatively easy to use. Nebulizers tend to cost more than other styles of diffusers for essential oils. A nebulizer can be fairly noisy while operating unless it is specifically designed not to be. To avoid this, look for models that say “whisper quiet” or “silent.” Because the essential oils are not diluted, much more essential oil is utilized during operation. This method really eats up the oils. An ultrasonic diffuser has a water reservoir that is covered with a lid. At the bottom of the unit is a small, flexible membrane which vibrates ultrasonically. This passes energy to the water, breaks up the water molecule, and turns it from a liquid into a vapor. The vapor is propelled into the air and carries along with it the volatile components of the essential oils. It effectively disperses the oils you are using into the entire room where the diffuser is sitting and helps them to stay suspended in the air for a long period of time. This is one of the most economical ways to diffuse essential oils. Due to the fact that the oils are dripped into a water reservoir, only a few drops of each oil are required. The cool mist diffuser can double as a humidifier − it does add humidity to the room. This type of diffuser generally has a timed function so you can set it to run for a particular length of time. It usually also has a safety off-switch when the water level falls too low, and is easy to clean and refill. Some ultrasonic diffusers also have lights that change colors, which is a nice feature to some people. This is a good style of diffuser to use with children as the concentration of the oil will not be too potent. The ultrasonic cool mist diffuser can be a little on the expensive side although cheaper models are increasingly available. Also, because it does emit the oils in a micro-fine mist, it does add humidity to a room. If there is an existing mold problem, this may not be the best diffuser to choose. It is also not recommended to use citrus oils with the cool mist diffuser because they can potentially damage the diffuser. The Oldest Method – Your Hands! Simply drip the oils you wish to breathe into your hands, just a drop or two will suffice. Rub your hands together and make a tent over your nose with your hands (be careful to leave your eyes out of the tent) and breathe in deeply. Some have described this process to be as if one were pulling the oils up into and over the brain and/or lungs. Take several deep breaths. This is one of the quickest ways to get instant results. It is cost-effective, as it only requires one to two drops of essential oil. It can be done almost anywhere. The benefits are only enjoyed by one person, and only briefly as the oils are absorbed by the skin quite quickly. If the desire is to get rid of airborne bacteria, or mold, or to have more than one person reap the benefits, diffusing by nebulizer or ultrasonic diffuser is preferable. From: The Truth About Cancer and other sources. Are the fragrances subtle, rich, organic, and delicate? Do they “feel” natural? Do the fragrances of your oils vary from batch to batch as an indication that they are pure and painstakingly distilled in small batches rather than industrially processed on a large scale? Does your supplier send each batch of essential oils it receives through up to five different analyses before it is released? Are these tests performed by independent labs? Does your supplier grow and distill its own organically grown herbs? Are the distillation facilities part of the farm where the herbs are grown so they are freshly distilled, maintaining their potency? Does your supplier use low pressure and low temperature to distill essential oils and preserve all of their fragile chemical constituents? Are the distillation cookers fabricated from costly stainless steel alloys to reduce the likelihood of the oils chemically reacting with metal? Does your supplier have representatives traveling worldwide to personally inspect the fields and distilleries where the herbs are grown and distilled? Do they scrutinize the facilities to check that no synthetic chemicals are being used in any of these processes? If your answer to all of these questions is yes, you can feel confident that your oils are therapeutic grade, the purest available. The origin and elements of Aromatherapy can be traced back to nearly 3000 years before Christ, when the earlier Egyptians used the elements of Aromatherapy in their daily lives. Documented records show that Egyptians burned incense made from aromatic woods and additional herbs to honor their gods. Also imperial harems and guest houses used many aromatic oils very profusely to satisfy numerous important guests. 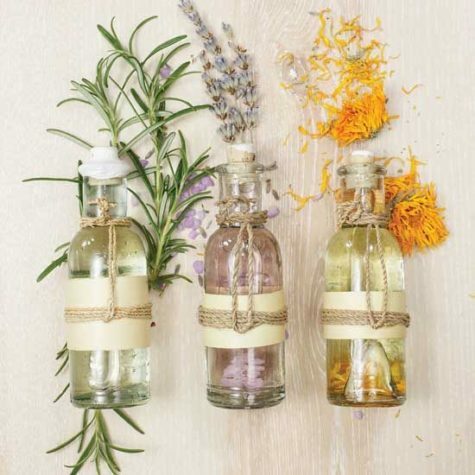 Aromatherapy has its roots in the most ancient healing and therapeutic practices. Healing plants are used to cure many ailments and used in many sacred rituals to evoke separate states of consciousness. Elaborate religious ceremonies were performed in Egyptian temples, where the dead King was mummified and surrounded with exotic necessary oils. Egyptians believed very firmly that essential oils have an unusual preserving property when added with other spices. Embalming was one of the principal uses of aromatherapy, preserving the fabric of the bodies for thousands of years. The oils and resins used were so powerful, that in the 17th century mummies were sold in Europe and doctors distilled them for use in their medicines. Aromatherapy truly emerged from the smoky temples of Egypt 6,000 years ago. Egypt was the motherland of medicine, pharmaceutics, cosmetics and perfumery. Trading was flourishing and traders arrived for trade from all over the world by land and sea to deliver flowers, herbs and plants. Priestesses and priests strictly supervised the delicate preparations in the temples and palaces, reading formulas and chanting incantations and hymns, as substances were measured and combined with ultimate precision. Purification processes went on for months until the right, perfect subtle blend was achieved. The Babylonians went so far as to perfume the mortar with which they built their temples – an art they handed down to the Arabs who built their mosques in the same aromatic way. In India the early temples were built entirely of sandalwood, ensuring an aromatic atmosphere at all times. The use of aromatherapy spread from Egypt to Israel, China, India and the Mediterranean. Every culture, from the most backward to the most up to date, developed their own set of practices. Greek physicians and military surgeons were employed by the Romans every where in the empire. 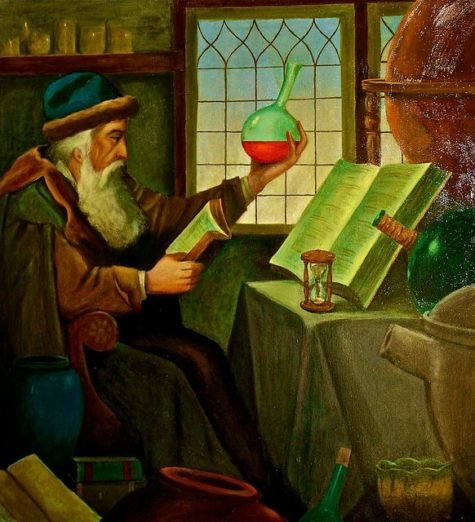 After the fall of the Roman Empire, the science spread to the Arab countries, where medicine men devoted them to the bygone art of alchemy, perfecting the art of distillation and extraction. Hippocrates, the farther of medicine, said that “the way to health is to have an aromatic bath and scented massage every day.” As far back as the fourth century BC, he recognized that burning certain aromatic substances offered protection against contagious diseases. For many centuries essential oils were the only remedies for widespread diseases and conditions. During the dreaded Black Plague, very few became ill, who in fact were associated with perfumeries and glove industries where these oils were in profuse use. During the 19th century, with the development of modern science, all forms of herbal medicine disappeared until the 1920s, when French chemist Gatefosse revived the art, giving it the name Aromatherapy. India was one of the few countries where the custom was never lost, Avurveda being the most ancient medical practice in the world today. 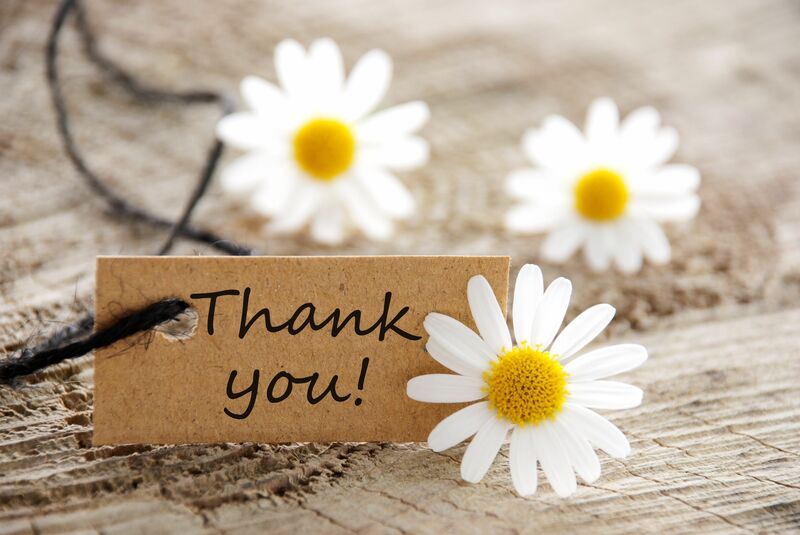 Aromatherapy is now used in hospitals, offices, clinics and homes all over the world. Aromatherapy acts as a span between the new and old, most of the industries use these oils for various blends and concoctions, which contribute cure and relief for a number of complications.